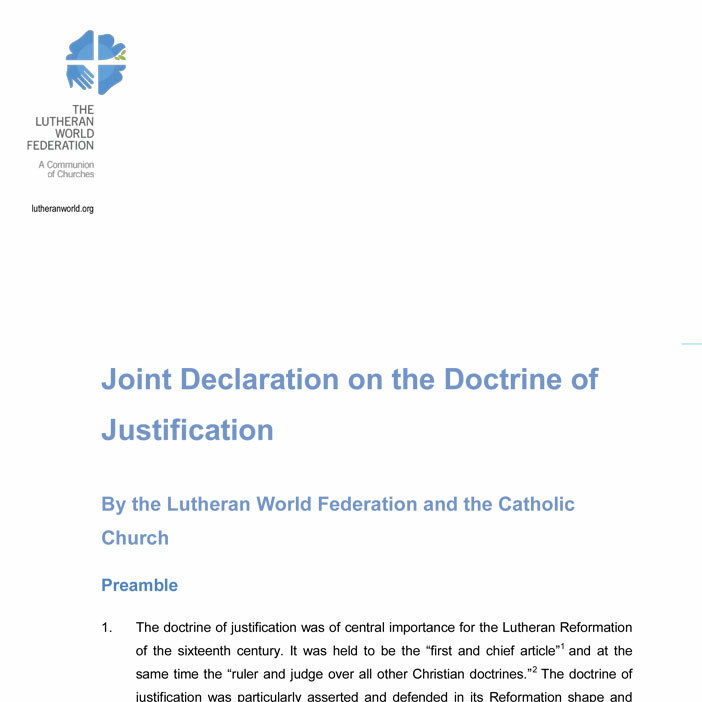 The Joint Declaration on the Doctrine of Justification (JDDJ) was a historic agreement signed by Lutherans and Catholics in 1999, effectively resolving one of the key theological conflicts of the Reformation. Initially a Catholic-Lutheran agreement, it has since been joined and affirmed by three other Christian World Communions, namely the Methodist, Anglican and Reformed churches. 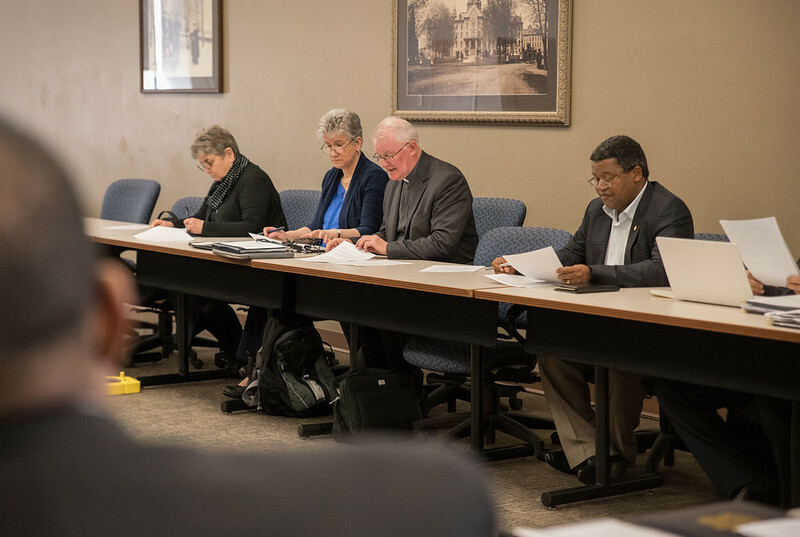 March 2019 – Leaders of the five world communions adhering to the JDDJ meet in March 2019 at Notre Dame University in the United States to mark the 20th anniversary and issue a statement recommitting themselves to communicating the biblical message of salvation in new ways to contemporary society. July 2017 – During a General Council meeting in Wittenberg, Germany, the World Communion of Reformed Churches signs up to the JDDJ, adding its own statement with a strong emphasis on justification and justice. April 2016 - October 2017 – The Anglican Consultative Council, at a meeting in Lusaka, Zambia, “welcomes and affirms the substance” of the JDDJ in April 2016. The following year, in October 2017, at a service in London’s Westminster Abbey, marking the 500th anniversary of the Reformation, the Archbishop of Canterbury Dr Justin Welby presents the text of the ACC resolution to LWF General Secretary Rev. Dr Martin Junge. July 2006 – The World Methodist Council, at a conference in Seoul, South Korea, officially joins the JDDJ, adopting a statement which adds related aspects of the theology of sanctification. October 1999 – After several decades of dialogue, leaders of the Lutheran World Federation and the Pontifical Council for Promoting Christian Unity sign the JDDJ in Augsburg, Germany. This volume presents the official Joint Declaration on the Doctrine of Justification, commonly known as the JDDJ, signed by The Lutheran World Federation and the Roman Catholic Church in 1999. The result of decades of Lutheran–Roman Catholic dialogue, this document represents an ecumenical event of major historical significance.